Temporary Renovator Doors - Dust Containment Made Easy! Whether you are renovating your bathroom, painting a bedroom or having work done around the office, even the most amazing finish can be sabotaged by mess, particularly dust. The dust that is generated from sanding, cutting, grinding and just generally renovating is incredibly mobile and a fine layer of the nuisance substance can often be found at the opposite end of the project and everywhere in between. The Temporary Renovators Door provides a cost effective, quick and easy way to solve this problem. What is the Temporary Renovators Door? It is a large sheet of heavy gauge plastic with dual zips fitted, these allow for it to be opened or sealed shut providing a sealed workspace to contain the dust. The door is supplied with a roll of double sided masking tape. Simply stick the tape onto the door frame, down both sides and across the top, expose the second side of the tape, then press the Temporary Renovators Door into place. The Temporary Renovators Door is fitted in minutes but saves you hours of cleaning, stress and customer heartache. The unique dual zip design with hold back hooks, means you can open both zips and hook the door open allowing easy access in and out, even with large objects like ladders or a bath. The other advantage provided by the Temporary Renovators Door is the clear plastic allows light into the area, while still giving a clear view of what's happening inside to anyone who wants to enter. 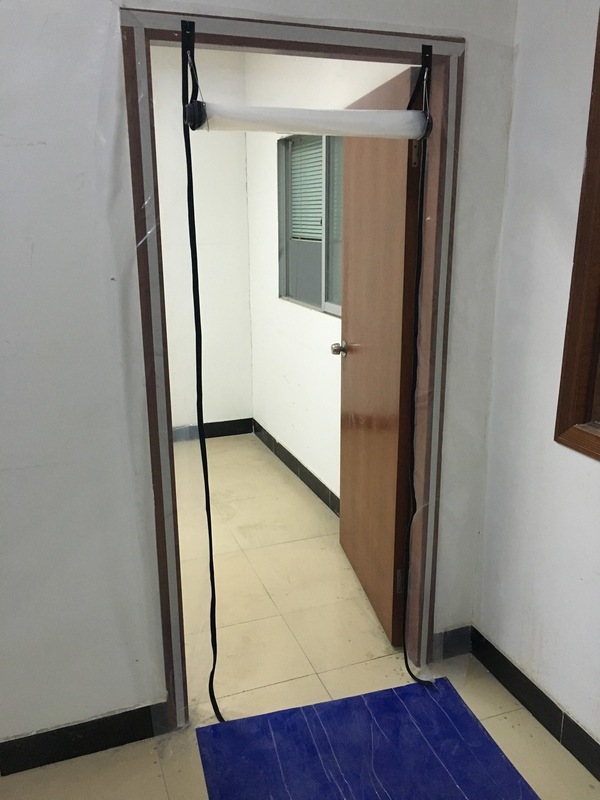 It maybe temporary but it provides a solution that saves time, makes you money and keeps your work area isolated, making for happy customers.